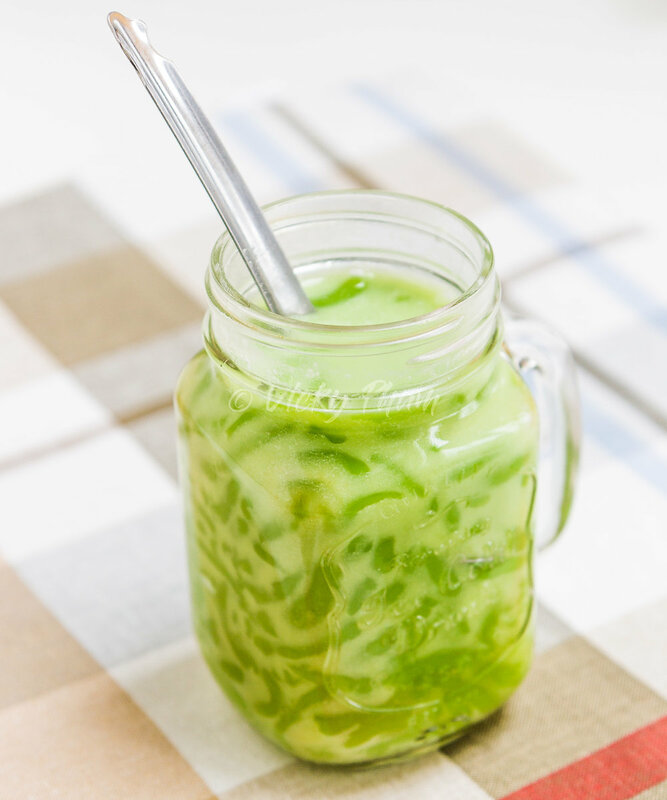 Cendol is a Southeast Asian dessert/drink of worm-like pandan jellies, mixed with palm-sugar syrup and topped with sweetened coconut milk. In Vietnam, cendol is a popular street food known as Che Banh Lot. Che Banh Lot literally translates to “Fallen Cake,” which refers to how the pandan worm-like jellies are made. The pandan batter “falls through” some kind of kitchen equipment with large holes to produce the round jellies with tapered ends, resembling little green worms (Yum!). Usually this kitchen equipment is a potato ricer, a large slotted spoon or a colander with large holes.